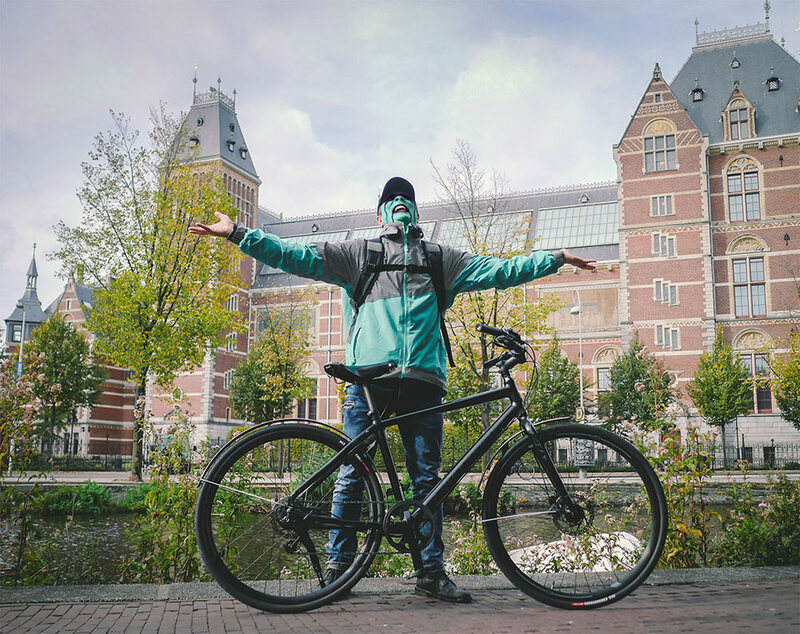 After two years of dishing out employed contracts to couriers, Deliveroo began to experiment with the freelance model in South Holland before decisively implementing throughout The Netherlands at the end of 2017. Deliveroo claims that this new model is more flexible. Opposition by the riders claim that it’s unstable while creating burdens for the rider. Riders in Amsterdam formed an unofficial Riders Union and partnered with the FNV (Federation of Dutch Trade Unions,) the largest trade union in The Netherlands. 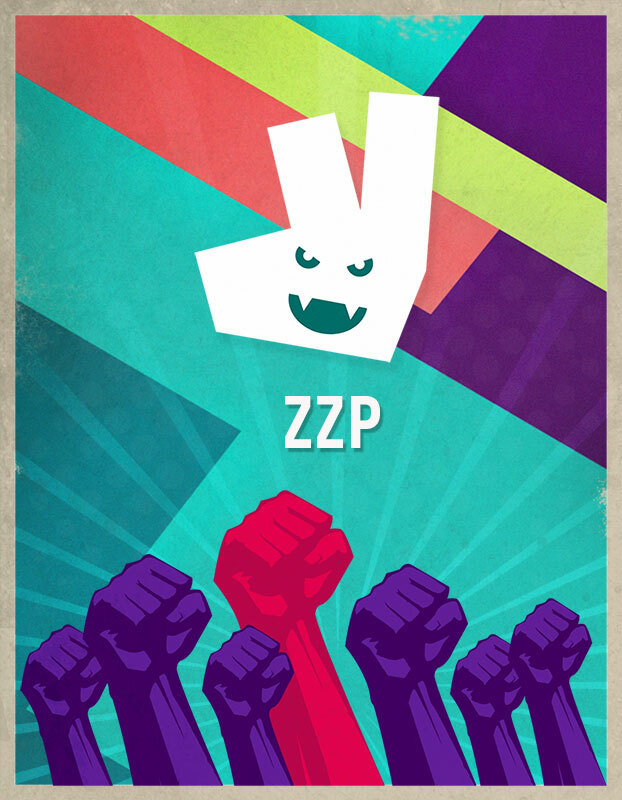 They sent an ultimatum to Deliveroo with two strict requirements, end the ZZP freelance model immediately and couriers may only work on the basis of an employment contract. Deliveroo refused to address the requirements and the FNV decided to proceed with more forceful actions. They began an full-scale offensive, contacting national media outlets and rolled out coordinated strikes, beginning on New Year’s Day, one of the busiest days for delivery services. What followed was a revolt of biblical proportions. Riders took to social media to spread their message of discontent. #Slaveroo was the hashtag along with the use of taglines such as “fake” and “illegal.” There were photos of Deliveroo bags dumped in garbage piles and hanging from street signs. One backpack was set ablaze and filmed while it floated down a canal. 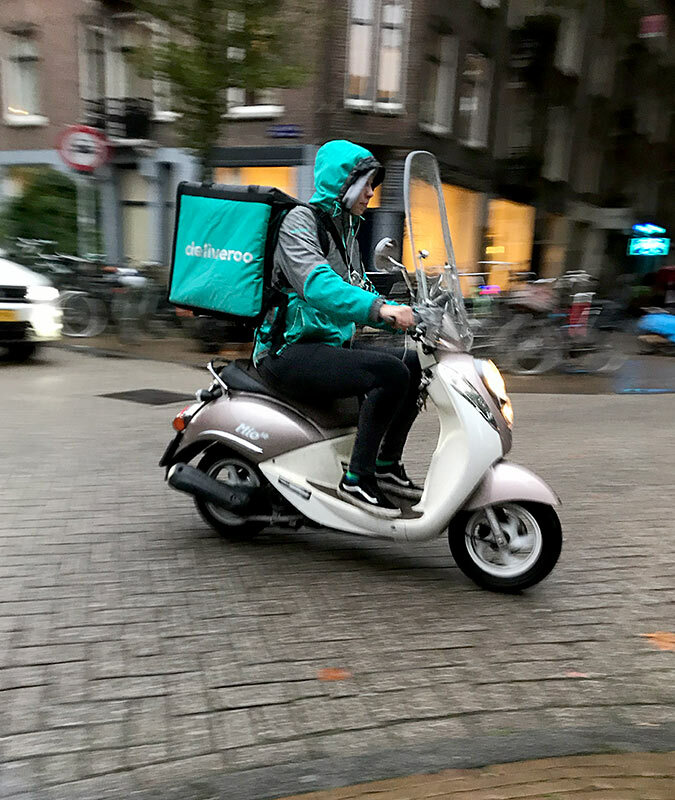 Organized strikes became borderline malevolent, with empty pizza boxes stacked and taped up against the door of the Deliveroo headquarters in Amsterdam to prevent people from entering or leaving. I met with FNV representative but had my own personal reasons in not wanting to support the union. While I was in support of the riders, I did not or partake in any strikes, partly because the behaviour of a few left me disillusioned. This evidently left me branded as a benevolent outcast. The effort to bring down the new system and revert to employment contracts was lead by one particular group; the full-time riders. It was difficult not to sympathize with them because they were considered the face of Deliveroo. They were competent riders who took pride in their work. Many had additional responsibilities in assisting with scheduling, offering technical support to restaurants, delivering supplies, acting as a lead rider in training new recruits, ensuring standards were kept on par while being available to answer questions and offer opinions for improvements. But the freelance model would take that all away. There was a realization among them that they were not the face of Deliveroo, but just a replaceable cog in a machine aimed at increasing profits at their expense. This naturally created resentment for the thousands of miles incurred on their bikes and joints while taking away their security for income while imposing new burdens. The Riders Union and the FNV produced a pamphlet requesting that it be distributed to all riders. It had a checklist of issues along with Four demands. Deliveroo ends its attempt to implement a freelance system in The Netherlands. Sign a union contract covering the riders. Offer permanent contracts to riders that have worked three temporary contracts. These are all valid concerns. But some are based on speculation of a freelance system that had and continues to change. I have addressed each of these concerns on the checklist based on my experience of working with the ZZP model for eight months. Aside from the burdens for riders, the crux of the freelance model really comes down to making money. I attempted to see if there is any truth to this by doing a comparison between the employment contract and the freelance model. True. Though there were no sick or vacation days offered under employment contracts either. Riders are now automatically protected from the financial cost of accidents with free rider insurance. If an injury means you’re unable to work, your earnings are protected while you recover. If you accidentally cause injury to someone else or damage their property, you are protected with up to €5 million of coverage. There is also the option to sign up with Gavin, that protects damage or loss to a bike, phone or other accessories for a small monthly fee. If you registered as a freelancer, you will have to pay a portion of the tax. How much is dependant on what you earn. Deliveroo pays for your VAT and you can keep the 21% VAT if you stay below a total turnover of €8966 per year. Actually it’s €30 to buy a thermal bag roll-top backpack. If you worked as an employee, you already have all the gear. As a new freelancer, it is not mandatory to order gear from Deliveroo, but it does need to comply with the safety and quality standards of Deliveroo. You can get bike lights at Hema for under €4. True. There is no guaranteed hourly rate and this will affect a riders earnings during certain hours. Though riders can also make more during peak hours. True. There is no limit on the amount of riders Deliveroo can use. Though they do schedule accordingly based on demand, which limits the amount of shifts available to riders and the restaurants offered to customers. During peak hours, there is no shortage of deliveries available. True. There is no guarantee of shifts. There is a scheduling system based on completed shifts, shift cancellations within 24 hours and number of shifts worked during peak hours (Fri-Sun 6-8 p.m.) If your stats are sufficient, you will be given the opportunity to schedule your shifts for the upcoming week on Monday at 11 a.m. Otherwise, the option to apply for shifts will be made available at 3 p.m. True. Though there is a solution if you sign on with Verloning.nl, and you won’t have to register with the Chamber of Commerce. To cover the initial costs, there is also a referral bonus of €200 while your friend earns €100, but with the stipulation that they complete 30 orders within 60 days. Riders bear all the risks of fines from the Belastingdienst if determined to be fake freelancers. As of now, the courts have ruled in favour of Deliveroo which has minimized the chance of risking fines by the Belastingdienst. There is also a safeguard using the Verloning.nl service as they process your invoice using their KvK number, effectively making them your employee. Without even the flexibility to work whenever you want. You still have to get permission to log into the app. False. You can log on anytime to apply for shifts, look over the schedule or check your statistics and earnings. I was among a handful of employed Deliveroo riders left after the mass exodus and made the transition to freelance in March of 2018 after twenty-three consecutive months of the employment. I collected statistics from forty hours of riding under the freelance model. To be fair in my comparison, I rode a gear above semi-casual which would reflect how I would ride under an employment contract. What I found is that I was earning 32% more per hour riding as a freelancer than what I would have earned under an employment contract. That is a significant increase but it is also misleading. The reason why these earnings are not an accurate reflection of what a rider can earn is because I work part-time. As such, I choose to work during certain hours, which are mainly during peak hours when I can earn the most. 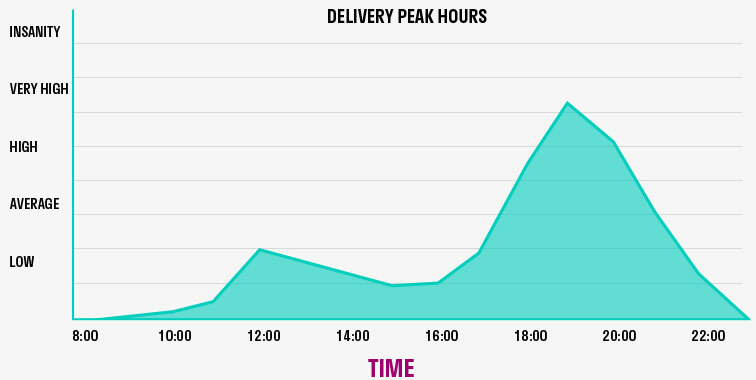 Between the hours of 6 p.m. to 9 p.m. is the busiest time for deliveries. For a full-time rider, they would earn considerably less at other times. In order for a full-time freelance rider to earn the equivalent under an employment contract, they would have to apply for shifts during peak hours. Over the course of a week, that would mean working at lunch, every evening and including weekends. 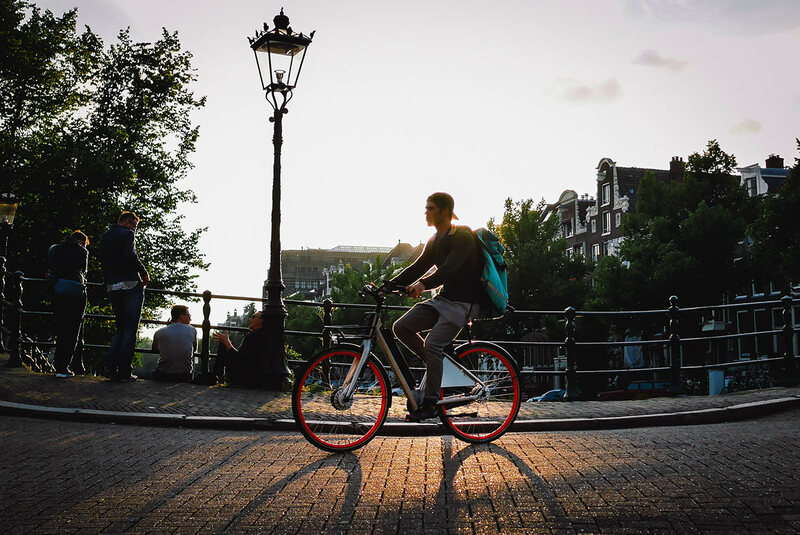 For a country that prides itself on a Work-Life balance, the freelance system for a full-time rider in Amsterdam doesn’t reflect it. Along with the initial burdens of the new system, the most glaring caveat is not having a steady income. What a rider earns one week, won’t necessarily translate into what they’ll earn the following week. This lack of financial security appears to answer the question whether the freelance model is truly flexible or indeed unstable. Deliveroo continues to implement changes to the freelance model to try and appeal to a broad base of riders while remaining efficient in delivering orders. The most apparent is the change of delivery zones. When Deliveroo first began in Amsterdam with employment contracts, there were seven zones in which riders can schedule themselves to work. This was a benefit to a rider since it ensured shorter distances for delivery. But it also complicates things. 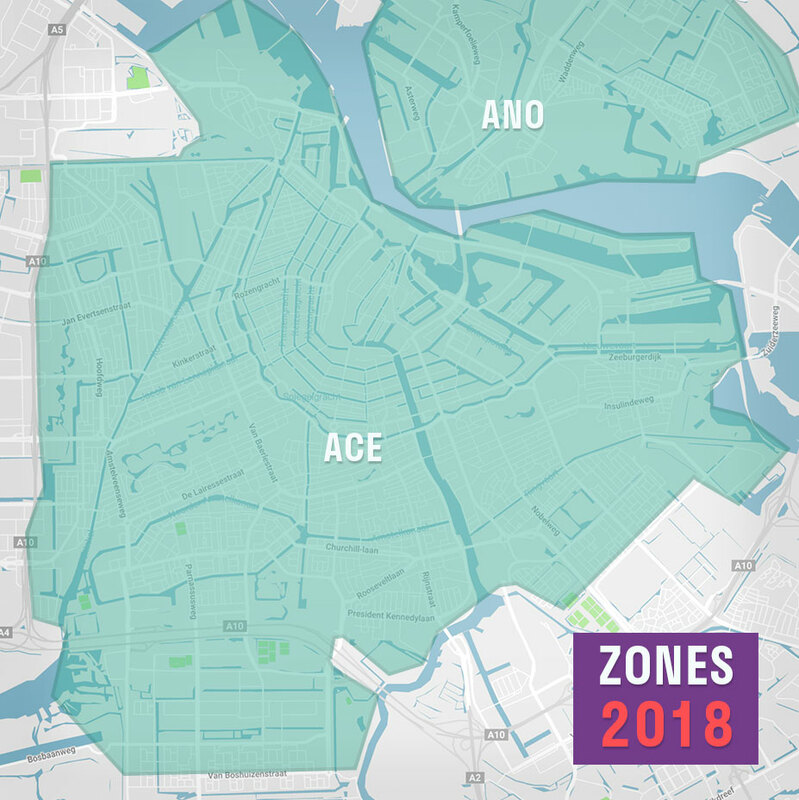 The Powerzone was introduced in late 2016 and was a combination of the two busiest zones for deliveries (Amsterdam Centrum “ACE” and De Pijp “APR.”) I was skeptical of the reasoning for this change because the claim that I couldn’t accept orders because I’m not in my zone simply wasn’t true. There were plenty of instances where I was receiving orders while in another zone. For a rider to become trapped outside of their zone would create inconsistencies of available riders across the grid. I can only speculate this is the real reason to combine zones. It would also alleviate scheduling issues which fluctuate weekly based on an algorithm of expected orders. The amalgamation of zones lead to an eventual conclusion. Today there is just one main zone in Amsterdam (not including the North as it is separated by the Ij river.) This has changed the landscape of Deliveroo and inevitably how riders operate. The implementation of one zone under the freelance model meant two things. Longer distances to travel and the demise of the bicycle. The days of riding a rickety, single-speed bicycle for deliveries is over. While there are a few who still ride them, they’re at a disadvantage. Since freelance riders are paid per drop, speed is now the name of the game. A majority of riders have opted to use an electric bicycle (E-bike.) There are several options in Amsterdam to rent an E-bike for deliveries. Deliveroo has partnered up with URBEE and offers the option to lease an E-bike for €85 per month instead of €100. Deliveroo has also allowed the use of scooters (currently only UberEATS had allowed them.) Sadly this decision sheds any label of being green and hip while contributing to a problem of scooters congesting the bike lanes in the city. But it’s also been a successful recruiting tool to bring on couriers who prefer this method of delivery. I created the video below charting my deliveries over forty hours. It gives a good indication on what a full-time rider would bike over the course of a week. It becomes quite clear that a rider requires a fast, durable ride in order to achieve a liveable income. Under the employment system, a rider would have to contact support by either calling in or messaging through the Telegram app. A conversation would ensue in which they would have to give a reason (usually the distance is too far) for not wanting to take the order. Half the time, the rider would grudgingly accept after being persuaded that there is no one available to do the delivery. Though I would like to see “spite” added as a reason, it’s clear that Deliveroo understands that the option to reject an order is integral part of working freelance. But you may ask how does this qualify as an important feature? Rejecting an order means I can do more deliveries. Restaurant waiting time is one of my most used reasons since I’m not being paid to wait. In fact, riders can now reject an order even after arriving at the restaurant, along with the option to notify them of a long wait time. I have a personal “banned” list of restaurants with a few on probation, knowing they on average can take a long time to prepare an order. Another feature that is unique to the freelance system is you can also see where the approximate destination is for the delivery. This is invaluable based my experience because I can guesstimate how long an order may take to deliver outside of riding time. I will reject the order without a second thought if I know that I have to go into an office building, bypass security, take an elevator to the 10th floor and locate someone who could be sidetracked on a call. Knowing which orders to accept and which to reject can save a lot of time over the course of a shift. The option to reject orders did however pose a problem for Deliveroo. Long distances and avoiding certain areas likely had everyone to thinking the same thing. To remedy the problem, Deliveroo launched a two-month transition period throughout The Netherlands of a new system of payment based on distance. Results from a survey showed that 70% of riders preferred to be paid by a distance model rather than a fixed drop fee per order. While this new system could be a benefit to scooters and fast E-bikes, it could still very well be a death knell to all riders. Simply because rates based on distance can be changed without any transparency. If a time comes to put a squeeze on finances, it will first come from the riders. But to the defence of Deliveroo, they have earnestly tried to find a balance in appeasing riders while aiming to become a profitable venture in food delivery. They continually offer workshops, incentives, discounts, and aim to build solidarity through contests and events. I’ve even noticed some riders who were vehemently against the freelance system return to working for Deliveroo. Thus I would like to formally make an offer to those who would consider coming back and an invitation to anyone who wants to give a try. Afterall, there aren’t many gigs that are better than earning some money while riding a bike. If you want to join me, and receive a startup reward of €100. Just click on the referral code below.